- Maximum diameter : 1500 mm. - Effective sheet length :1400 mm-2500 mm. Mill Stand: 2-high / 3-high / 4-high mill heavy duty cast iron/steel fabricated top closed/open type with fibre bearing / rolling bearing system and its complete fittings with base plates range: 180 mm to 550 mm. We manufactures various types and sizes of mill stands. Main features of our equipment is reliability, ruggedness and ease of operation and maintenance. The salient features of our mill stands are that they are compact and simple design, facilitate quick roll change and require minimum maintenance. Kathuria Rollmill Private Limited is the Manufacturer and Supplier of Mill Stand. We are one of the leading manufacturers of machines automatic form fill seal machine that offers a good reliability and repeatability with low maintenance. It gives cost effective packaging solution. It maximizes process productivity for those companies seeking long term performance. 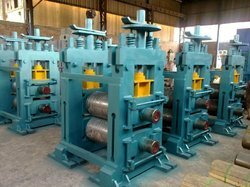 Avail from us steel rolling mill stands that are appreciated at international platform. These are durable and require less maintenance. Our product features compact design and ensures quick roll change. These steel rolling mill stands are delivered with zero defect at the desired destination within stipulated time frame. 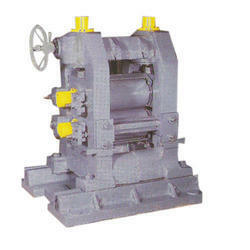 Being a quality leaning association, we are the topmost manufacturer and supplier of Hot Rolling Mill Stand. This mill stand is widely used for rolling metals and wires in the industry. Manufactured by skilful professionals and advanced technology using high grade components procured from the trustworthy vendors of the market. AMT manufactures various types and sizes of mill stands. Keywords for our equipment are reliability, ruggedness and ease of operation and maintenance. The salient features of our mill stands are that they are compact with simple design and they ensure quick roll changing and require minimum maintenance.